Ramallah- Palestine’s Hamas organization is moving towards declaring a Palestinian state over the 1967 borders, without first recognizing an Israeli state. Any official statement concerning altering the charter, issued by the bloc governing Gaza Strip will be verified and released after holding political wing elections in April. The 1967 borders, advocated by former United States President Barack Obama, refer to the armistice lines from before the Six Day War, when Israel captured the Gaza Strip from Egypt and the West Bank and East Jerusalem from Jordan, among other land, expanding its territory beyond the “Green Line” borders delineated by a 1949 armistice between Israel and its Arab neighbors. It is expected that the announcement would also include the movement’s “separation from any foreign body or organization–in reference to the Muslim Brotherhood in Egypt–” Hamas sources told Asharq Al-Awsat newspaper. “All of Hamas bodies whether affiliated with its political wing or military brigades had contributed to drafting the declaration,” sources added. “Amendments were made during a meeting held in Qatar’s capital Doha,” they said. 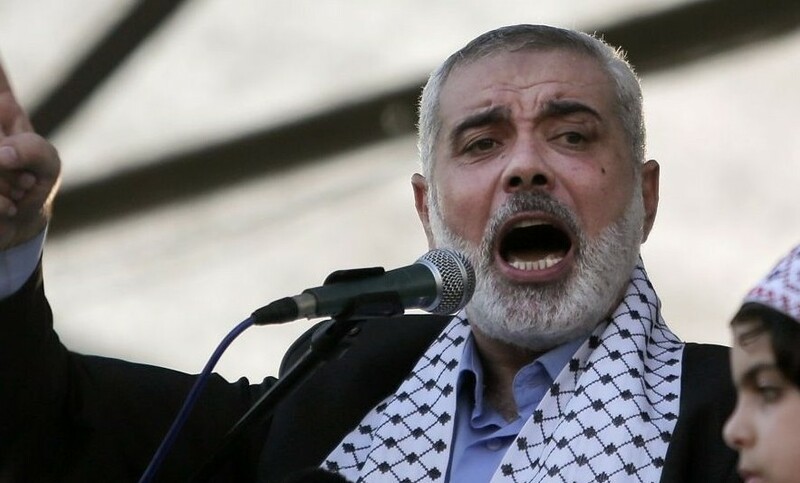 Each of Hamas political leader Khaled Mashal, Former Prime Minister of the Palestinian National Authority Ismail Haniyeh and senior Hamas member Mousa Mohammed Abu Marzook have attended the meeting and await the declaration to be reviewed and approved by the movement’s consultative councils post elections. Moreover, the sources emphasized that the declaration strictly defines animosity against occupying forces, and not Jews in an attempt to shake off accusations of anti-Semitism. The founding document, the Hamas Charter, dated 18 August 1988, contains both anti-Semitic passages, characterizations of Israeli society as Nazi-like in its cruelty. It declares all of Palestine waqf property endowed by God to Muslims, with religious coexistence under Islam’s wing solely. The charter rejects a two-state solution, envisaging no peaceful settlement of the conflict.